After graduation from university, I began to pursue my goal of being a math prof to bring the reality of Jesus onto the university campus. Beginning with a conversation with Don Boesel about Faith Academy in Manila, God called Sherry and me, against all common sense, to resign my draft exempt public school position and take our two-month-old son to the Philippines to teach math at Faith. It was an Abrahamic journey of faith and newness into the unknown. My nine-month commitment turned into three years and my direction turned from math to Bible and theology. My new intent was to be a Bible College teacher and missionary church planter that led to M.Div. and Ph.D. studies to return to the Philippines. Our trust that God could speak to me and supply for what He calls us to was founded solidly. 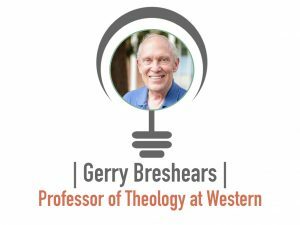 Gerry Breshears is now currently a Professor at Western Seminary and a board member for the Bible Project–an illustrative video project that teaches biblical animation through animation.